Feb. 20, 2019 (St. Lucia) – Nadia Cazaubon is hard at work in St Lucia. She is busy directing the Caribbean arm of the organization, coordinating with the community, teaching them citizen science, and also looking to expand to new communities. This talk is the 3rd in a series of 9 talks at the Saint Lucia Knowledge Fair. This event is organized by The Global Environment Facility (GEF) Small Grants Programme (SGP) implemented by United Nations Development Programme (UNDP). https://i1.wp.com/www.caribbean-sea.org/kids4cw/wp-content/uploads/2019/02/nadiacompressed.png?fit=827%2C720&ssl=1 720 827 Ben Wilt https://www.caribbean-sea.org/kids4cw/wp-content/uploads/2018/11/C-Sea-Cutter-Proof-1.png Ben Wilt2019-02-22 10:51:482019-02-22 11:25:57Caribbean Programme Director Nadia Cazaubon: Is Clear Water Clean Water? One of the bright young people in Marigot! Newly elected President of the Marigot Pirates environmental club! kids of today who are participating in community or school environmental clubs and who have such great enthusiasm and joy in being together under the watchful eyes of a caring teacher like Valerie or our fabulous colleagues in the Peace Corps, Sean and Sarah, or our very own Nadia! Our reusable grocery bags were a big hit! The Marigot kids earned money for their projects by selling them all so very fast! Now we are working with a small grocer to also sell them for us. The grocery stores in St. Lucia no longer give out plastic bags, so this is great timing! If we all just loved St. Lucia (or our own country) just a little bit more, then maybe our waters would be clean again and the plastic bags and straws and bottles wouldn’t be covering our ocean gyres. Love St. Lucia! https://i2.wp.com/www.caribbean-sea.org/kids4cw/wp-content/uploads/2016/11/mtncreek14.jpg?fit=900%2C1200&ssl=1 1200 900 Mary Beth Sutton https://www.caribbean-sea.org/kids4cw/wp-content/uploads/2018/11/C-Sea-Cutter-Proof-1.png Mary Beth Sutton2018-05-15 10:13:032018-08-16 13:20:43Gardening for Wildlife means protecting the creek! Water. We all require it for life. We all need CLEAN water and LOTS of it! 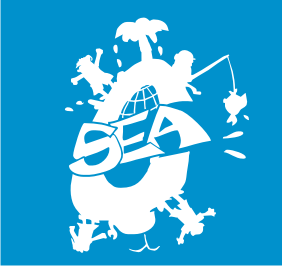 Caribbean SEA and TenneSEA work at the grassroots level to empower kids and their communities to get clean water. The Flint, Michigan water disaster was a wake up call for many to realize that you cannot take your water for granted. The changing precipitation patterns throughout the Caribbean have led to water scarcity or tremendous flooding events. Atlanta, Georgia faces water shortages not just because of increases in water use, but also because of changing precipitation patterns. We CANNOT take our water for granted. I watched this video again today. I haven’t seen Goliath Grouper since I swam with them in the Bahamas when I was a kid. I am so impressed with Cuba’s protection of the mangrove and reefs. They are intimately connected. 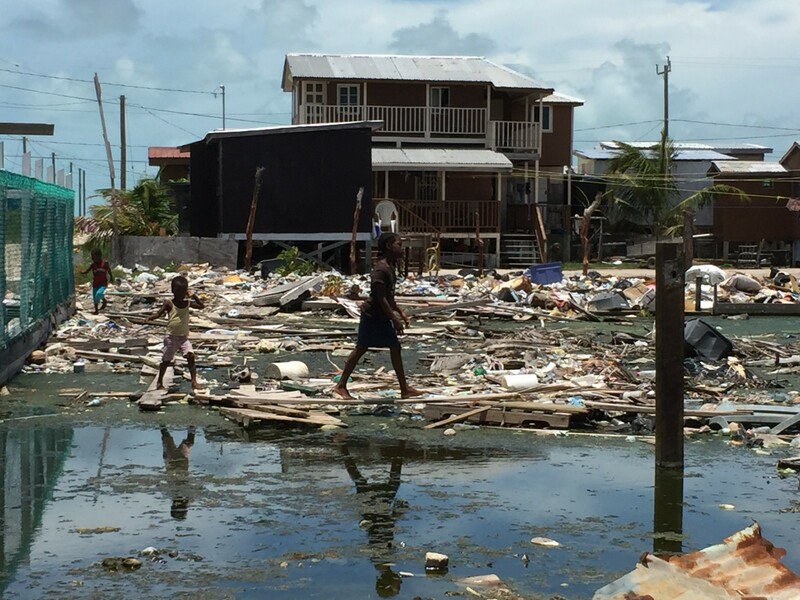 Without the mangrove nursery AND the coral reef, life in the Caribbean Sea will not flourish. Come join us in our annual event to protect the water by enjoying wine and tapas at The Barn Nursery! Silent and live auction items this year from each of our Chattanooga area and Caribbean watersheds! Wine provided by Panoram Imports, local wine distributors, and some of our wonderful regional vineyards. Tapas provided by local restaurants which in the past have included Mrs. B’s Reggae Cafe, 212 Market, Terra Nostra, Niedlov’s , Conga Latina, Pruetts Signal Mountain Market and Publix. Tickets are $45 in Advance and $50 dollars the day of the Event. I went to Belize this summer to fill in for Mary Beth at her Kids 4 Clean Water camp in San Mateo. I anticipated an eye opening experience having traveled in developing countries in the recent past. However nothing could have prepared me for this “eye opening” experience. The golf cart bumped over the pitted “road” into San Mateo and the panorama that is life there spread in front of me and unbidden tears began streaming down my face. My skin felt too sensitive to touch, my scalp was tingling uncomfortably and I could not form words.